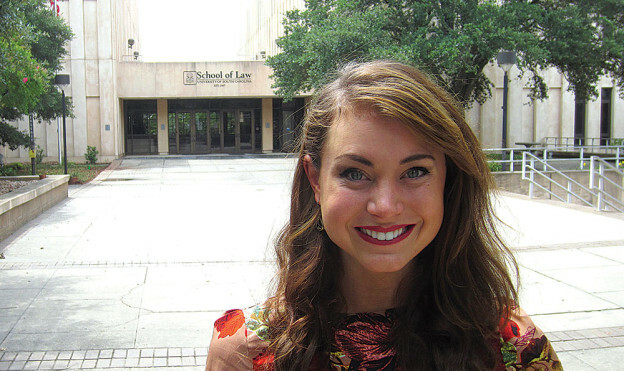 Brooke Mosteller has basked in the glamour of being named Miss Mount Pleasant and Miss South Carolina in 2013, but she says a scholarship from the School of Law is among her most treasured honors. During the annual Awards Day ceremony in April, Mosteller was awarded the inaugural Joe McNulty Memorial Scholarship, established to memorialize a fellow first-year classmate who fought valiantly against throat cancer before it took his life late in 2012. “It is really one of the most meaningful things I have ever received, purely based on the character traits of Joe himself,” Mosteller said. “Though the cancer had spread throughout his body and Joe was in pain from hardly being able to swallow food, he took our first-year written exam on his hospital bed a week before he died. During the spring 2013 semester, Mosteller and classmate Joe Kornegay organized a Relay for Life team in McNulty’s memory, raising more than $1,500 for the American Cancer Society. She said it was the best way to pay tribute to his memory and his belief that any act that helped others was the best possible thing you could do with your own time. Creation of new scholarships like the Joe McNulty Memorial Scholarship — and enhancement of existing scholarships — is a key component of USC’s $1 billion Carolina’s Promise campaign. Such scholarships make it possible for many students to pursue a law degree at USC, and conversely, for USC Law to attract the best and brightest to its program. This entry was posted in Fall 2013 on 11 October 2013 by Tobias Brasier. 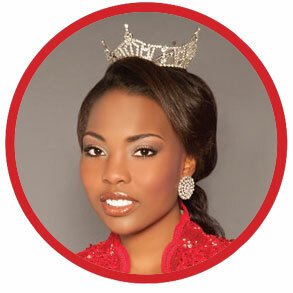 Brooke Mosteller wasn’t the only USC Law student in this year’s Miss South Carolina pageant. DONNA TILLIS, a 3L and editor-in-chief of the ABA Real Property, Trust and Probate Journal, was also in the contest. Her platform was the S.C. Guardian Ad Litem program, for which she has volunteered during her time at USC Law.